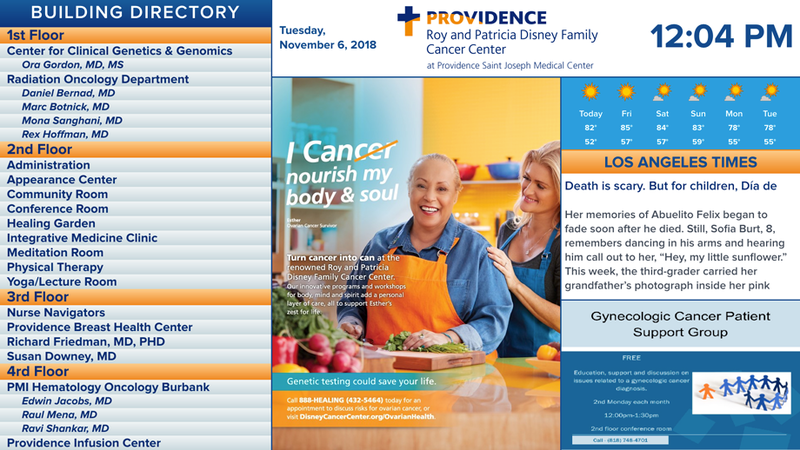 This Epicure Digital Display System includes two 55” Communications and Marketing Boards at the Concierge Desk at the Disney Family Cancer Center. 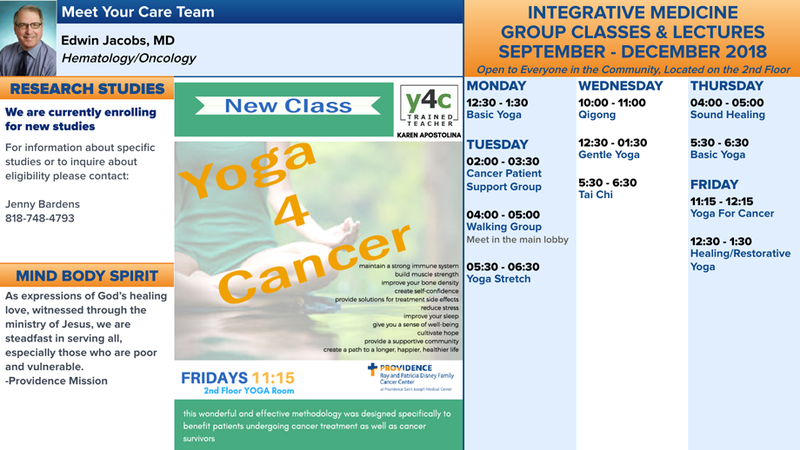 The boards display the Building’s Directory, DFCC Marketing Campaigns, Promotional Slide Shows, Up Coming Events Slide Show, Group Classes & Lectures Schedule, Thought for the Day, Meet Your Care Team Slide Show, and Text Block Announcements. The project included all menu engineering and information design, creative design, production, LCDs, Centra cloud service and project coordination with the IT and installation teams.